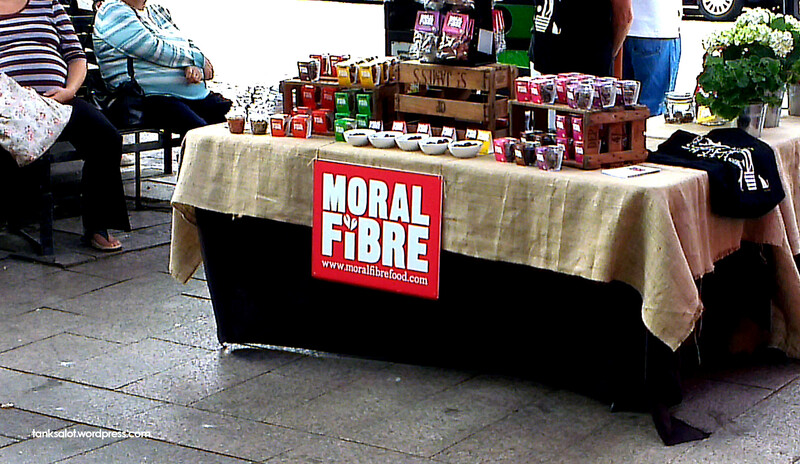 Presumably a ‘moral’ diet includes a lot of fibre. You know, vegetables and stuff. No delicious, cute little lambs or furry bunnies or anything – no way. Spotted in Berkamsted UK by Lydia Woodroff. Subtle brain-washing? This little Pun Shop was spotted in Carlton Victoria by Daniel Foster. 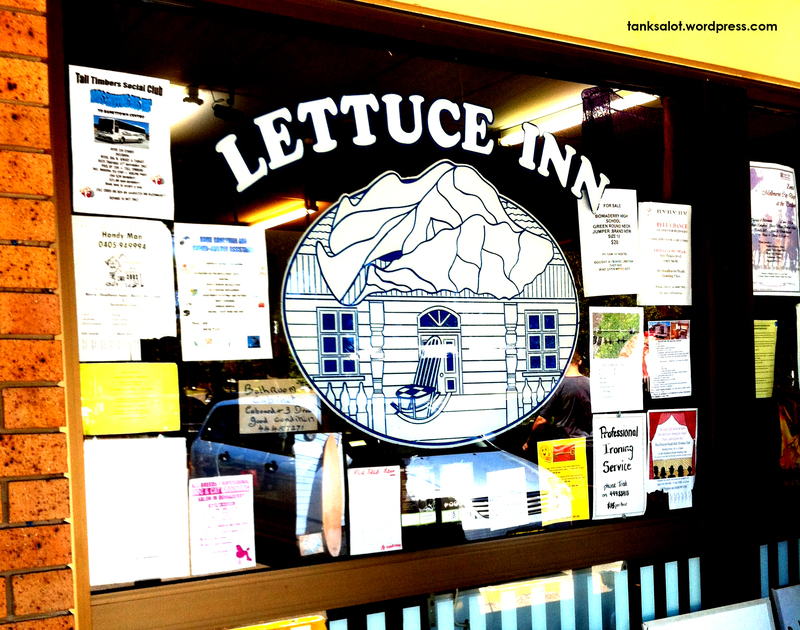 Lettuce take a moment to ponder how often ‘lettuce’ is used in Pun Shop Names. 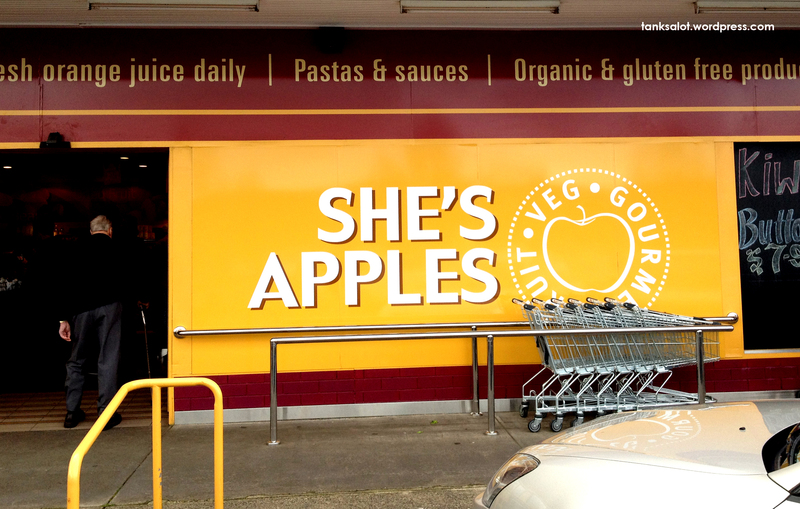 This produce market was spotted by first time punter Mel Campbell in Shoalhaven Heads NSW. I feel we’ve hit a bit of a lull. Yes, yes… I get it. But surely if you’re going to jump the train into the wonderful world of Pun Shop Names, this is the first stop? Why get off here? Why not take the ride all the way to The Hall of Fame? Again, I’m posting this as a warning. Let’s all pull up our socks. Spotted by Janet and Simon O’Brien in Mt. Gambier SA – a town I feel we’ve totally tapped out. I wonder if this translates for our international readers? I had imagined ‘she’s apples’ to be a uniquely Australian expression, meaning ‘everything is OK’. Regardless, using it as a PSN for a fruit shop is absolutely ‘apples’, in my opinion. Found in Mt Gambier, South Australia by Janet O’Brien. 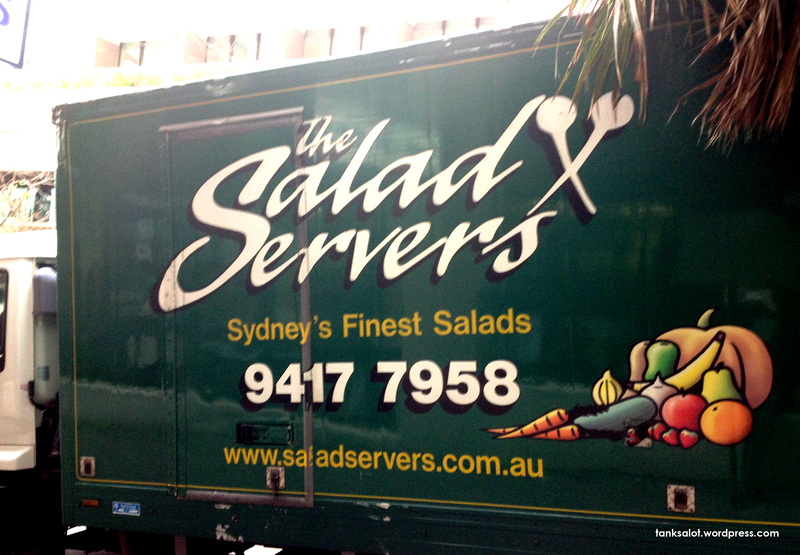 If they don’t serve you salad, give The Salad Servers a serve. 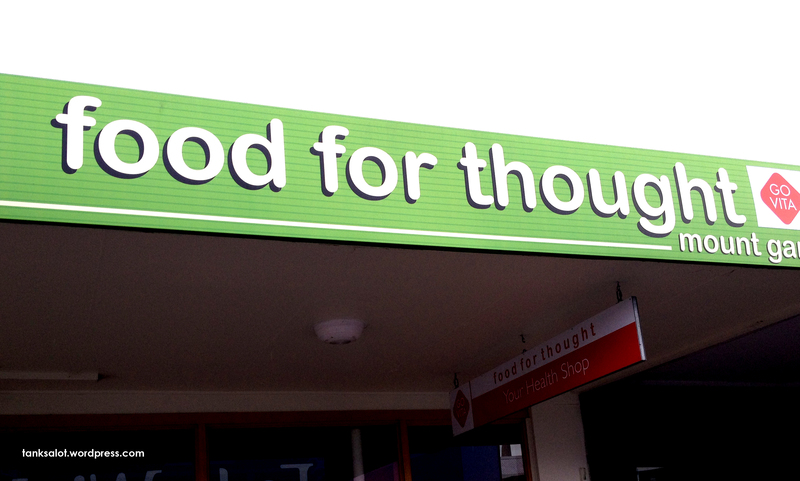 This delicious Pun Shop Name was spotted in Penhurst NSW by Lillian Hafez. 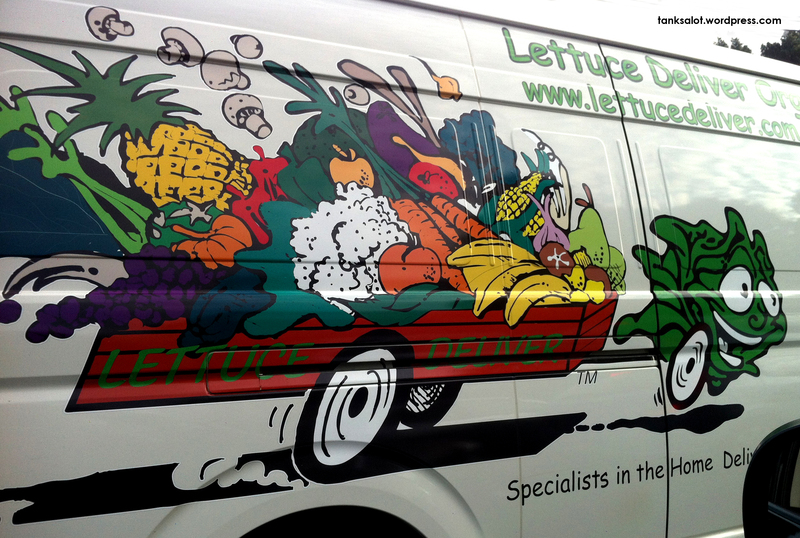 Adding to our surprisingly large collection of ‘lettuce puns‘ is this specialist in vegetable delivery. Spotted near the airport in Botany NSW.